Each age has its special challenges. 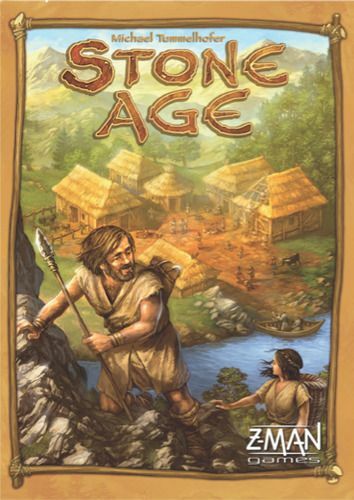 The stone age was shaped by the emergence of agriculture, the processing of useful resources, and by the building of simple huts. Trade begins and grows and civilization takes root and spreads. In addition, traditional abilities like skillful hunting are in demand, in order to be able to nourish the growing population. The goal of the players is to master all these challenges. There are many ways to do so, so everyone can work to achieve his goal in his own way. Find your own way and learn at the end whether it was the best way. In Stone Age Junior, a children's version of the Stone Age family game, the players collect goods and build their own settlement.